Hey guys! Can you believe summer is already here? In Kentucky we skipped spring and went from 40 degrees to 90 degrees in one week it seems. I only like the summer for one thing..swimming. I have a new pool this year that I can't wait to lounge around in all day! Otherwise, I stay inside so I don't melt lol. 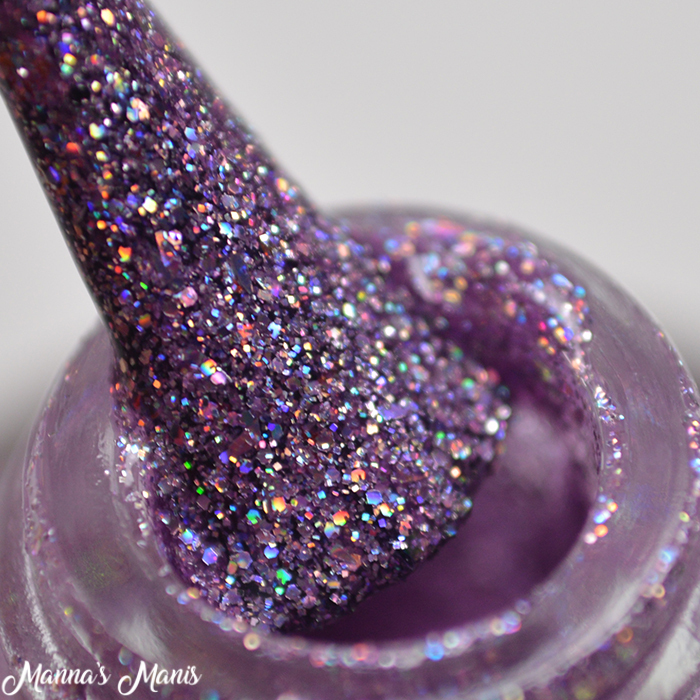 The May DOTM is a gorgeous purple that you don't wanna miss out on! Time Turner is inspired by Book Three- The Prisoner of Azkaban. 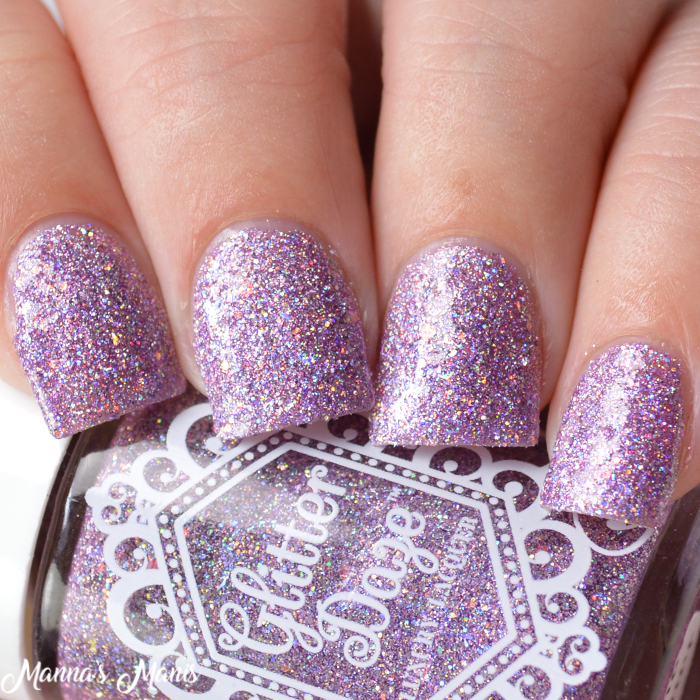 It's a gorgeous light purple glitter bomb in a bottle. 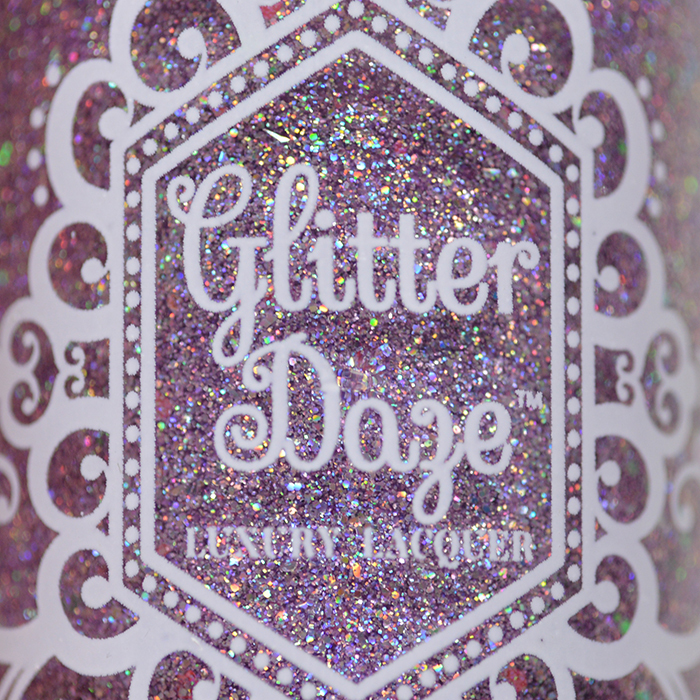 Formula and application were spot on, big surprise eh...GlitterDaze always is! 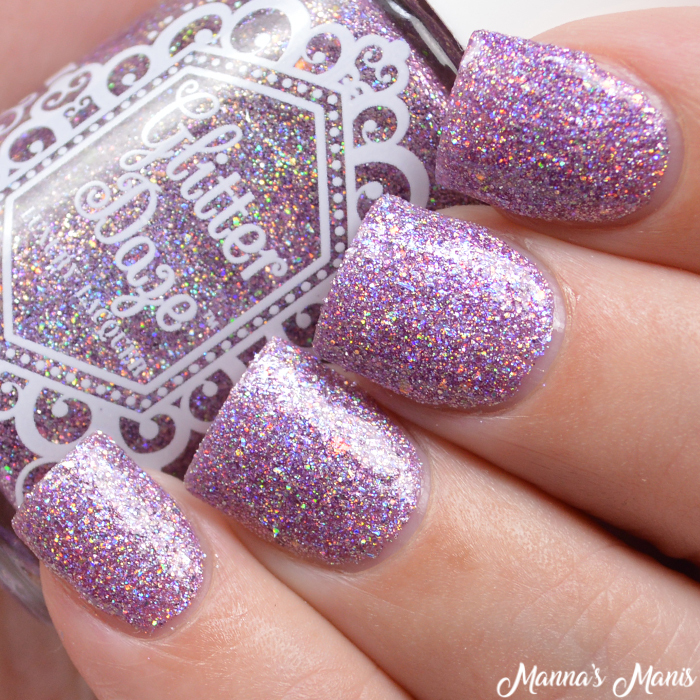 Shown below is 2 coats with top coat. 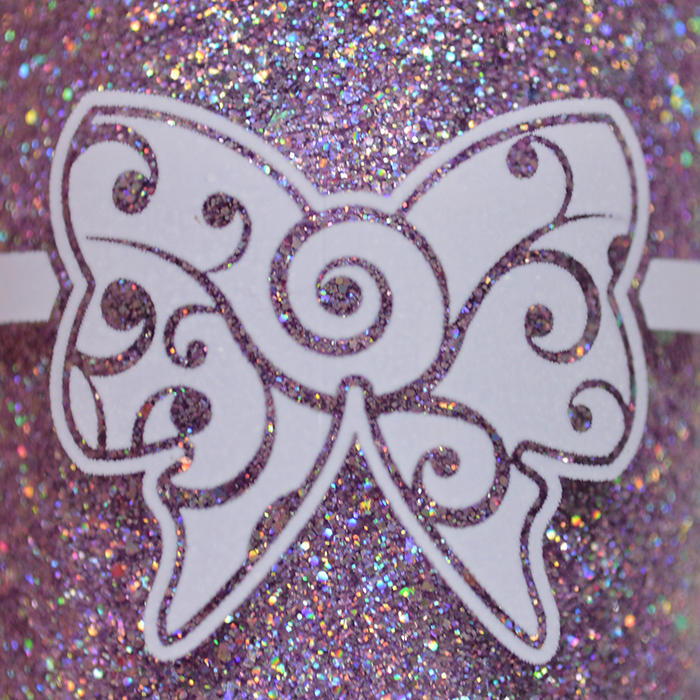 The free gift this month is a mini bottle of some nail strengthening basecoat that has garlic extract which helps your mani last longer and strengthen you nails. 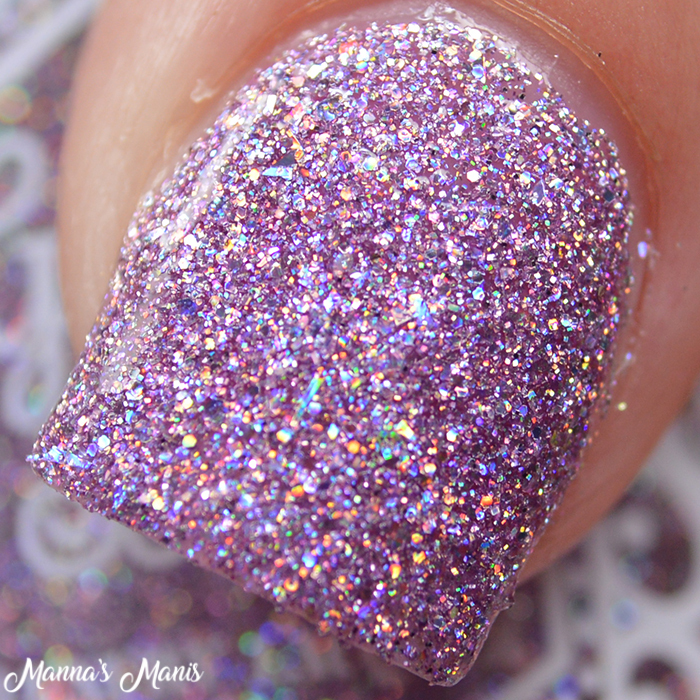 This polish is only available until the end of May!